Conservation with a Twist! Bi-Max is a unique, two-flow rate showerhead, allowing you to match your flow rate to you task and save more while you shower. 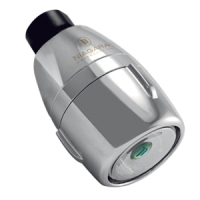 Niagara's patented non-removable pressure compensator provides a constant output of water regardless of pressure.